Alex: I can see an advantage in you single wire neck frame. Can you show us the wire knot inside the torso too? It is covered by putty now. And those knees: your wire frame knees do not fit your final sculpting knees. It looks like you improved the knees in a later phase. And how is the wire frame fixed to the plastic base? I see no glue and no piercing. At what moment do you sculpt the bottom side of knees and lower legs? When all the rest is finished? Or before details like face and hands are finished? Sorry, I have shown how this framework is only a sample of wire. In reality, the figures for the sculpture, sitting, lying, kneeling - it is necessary to spend a lot more effort than standing figure. And you need a different frame. It is also necessary, and another reason was usually figure I hook into the plastic base. I drill two holes and bonded to the skeleton of super glue. But with complex shapes that are necessary to do several steps to remove and flip - I also use cork. Mr . Cryns - You promised my wife that you will not qualify for a washing machine and vacuum cleaner, and I think that it will allow to use the fridge .. Relatively brittle skeleton - I think that the brass wire more capricious than copper. Thank you Alex that you show these three rows (1-3) of pic for improvement of a figure. The most interesting and surprise to me is that you start after the base of the figure is done with the "problem area for women ". The leg, back. I thought that you start with the head,face. From top to down. But the pic explain me the other way beginning down! I really hope that this interesting discussion will at least ends up with new figures especially with the women from you, Alex. It is good to see that there are more and more women available in our scale. There can't be enough civil figures. Alex thanks for the pictures. These pictures clarify more than many words. 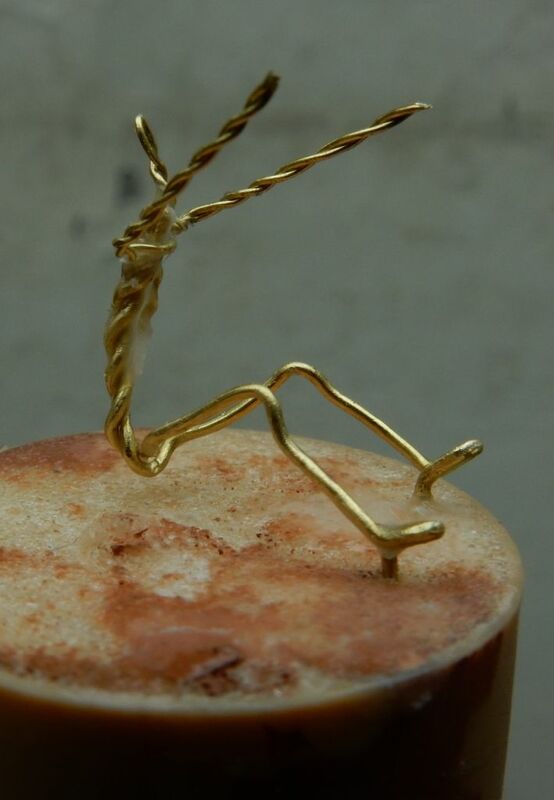 Now I have to start all over again from the beginning for the third time making a wire frame for the kneeling man. 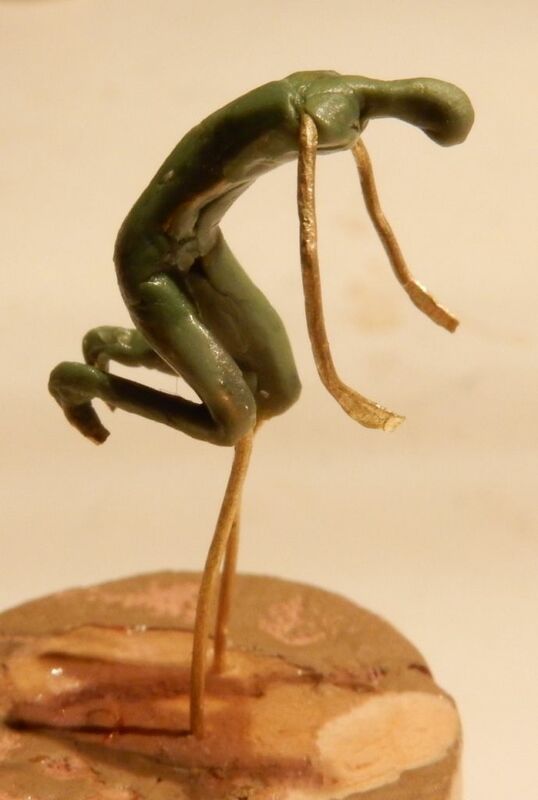 It is horrible to make wire skeletons for kneeling figures, the articulation of the knees , the feet ect. is a special challange for me. So it is interesting to see Alex' wire skeleton without defined fold, with added stanchions and the free sculpted knees. 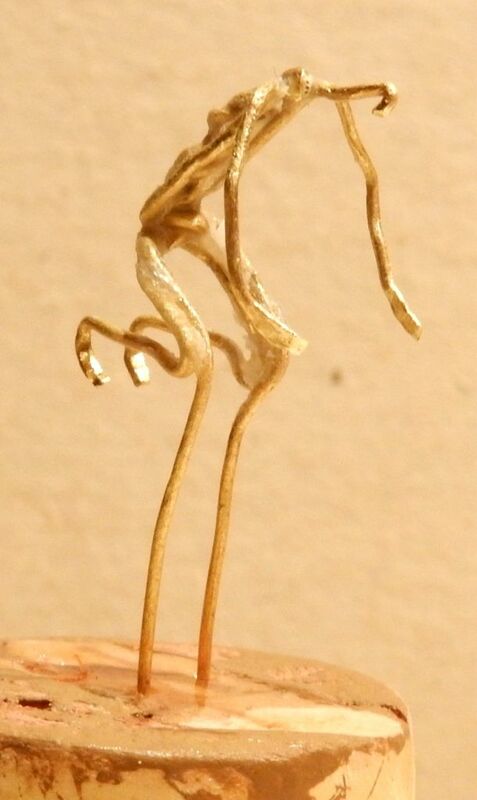 Well it is a special kind of craftmanship to have a wire skeleton inside a idea of an sculpture, great indeed! - I need a skeleton with exact defined folds for the articulation of the joints. I use brass wire because it is a little more stiff than copper, and you can get it without laquer coating, which is usual with copper wire. To raw up the brass wire I do not sand it, I press/roll the measured and cutted wire pieces with a diamond file. 5 Removing a cork, molded legs from the bottom and install a plastic stand. The studs are cut short, but they are stuck in a plastic stand into the openings. It is tough. 6 Start sculpting the head. The head and face and hair modeling in many stages, along with other parts of the figure. 9 Removal from the base, cutting off the excess frame, sealing from the wire traces. (Seen in the figure slightly different shade mixture. Here is my homework from the last few days. Both sitting men have frames from two weeks ago. The man in the middle was sculpted while positioned horizontally and was only lifted up in a late phase to finish its bottom. 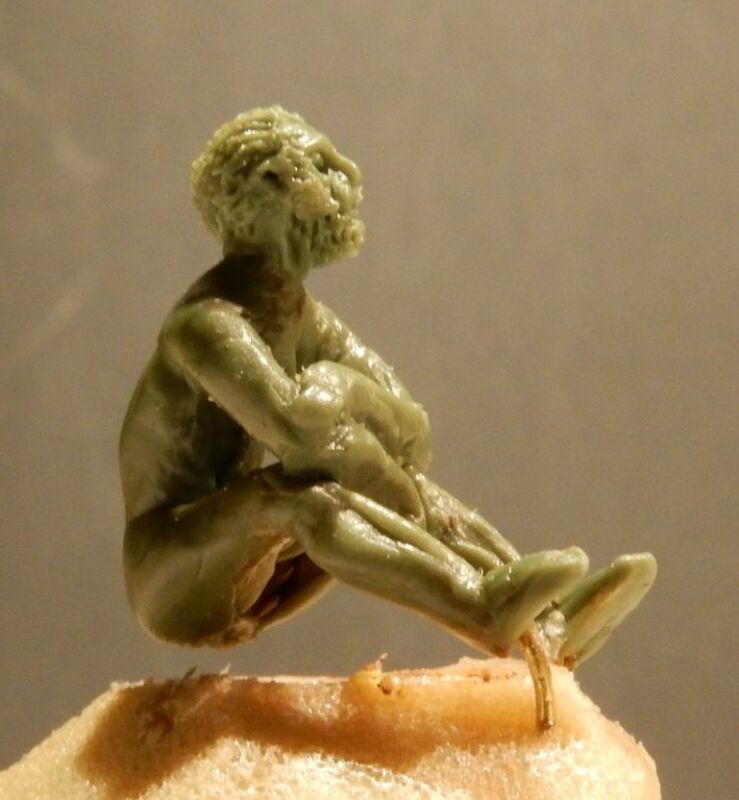 The other sitting man had a frame positioned just a few milimeters above the plastic-cork surface (top of cork is sealed with superglue so no corkpieces stick to the putty. I think Alex is using plastic base for this reason in stead of cork. Sculpting all of its body was simpler after cutting away most of the cork top. But as can be seen above there is still a hole in the mans bottom so it has to removed completely from the cork to fix that. So my third kneeling man ettempt follows the method of Alex' beautifull young lady. I know the copper wire frame is not a beauty and I still wait for a better picture by Alex showing us the way these 7 wires (2 arms, 2 legs, 1 head, 2 temporary stands) are knotted togeter. Its my first figure with a single wire neck. I should have used some heavyer, stronger wire for both temporary stands. But these thin wires did pretty well. Heating to speed up the hardening process. 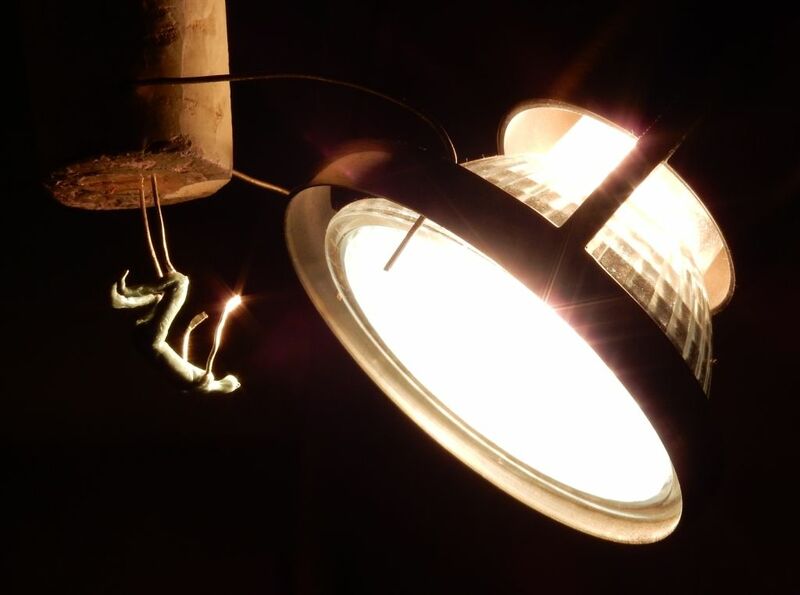 This time it was on top of the halogen lamp. As Alex proposed, I started with feet, legs and bottom. I think I have to make a new tool to fix those holes like in this mans right calf. Question: what do your tools look like to reach these places? Mr.Cryns -Firstly, I must say that the very visible progress. Mainly due to improvement of the quality of surface shapes. Regarding the tools to work between the legs (sounds terrible! ) I use Dental instruments. It's enough . Regarding the stages of work with a skeleton and figure, but probably have to do a special photo. I will soon. Thank you so much. I tried very hard to improve my technique. Alex wrote: the tools to work between the legs (sounds terrible! ) I use Dental instruments. Yes you sound like a mad gynaecologist now. for wire I went to the hardware store got a spool of 0,4mm steel wire and 0,4mm brass wire both works great for me, the steel is not very hard and thin so its still easy to cut, the brass I only use wen I need more flex which is hardly ever, I got the spool because its always the same wire so I dont need to worry about wire breaking sure it will but I know what it will take before it breaks, also no need to burn anything of that also chance the metal depending on how it cools. 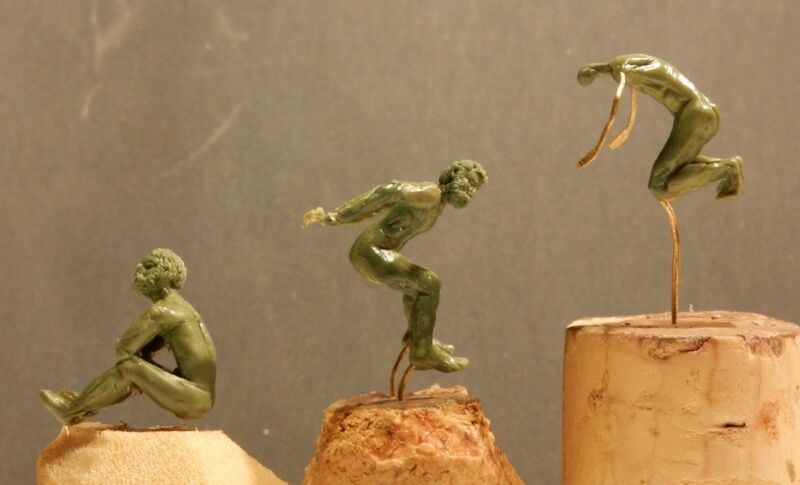 with left over wire from wine bottles or other sources you never really know what you will get, 50m of wire cost me 4euro and lasted me 4years and I sculpt a lot, over 50 figures a year. Splendid Work Mr Cryns. Good Photo`s Too. That`s some good advice to follow here. So make sure you keep your ears out of your work. "You believe that,i believe ears!" I vote for the sculpt of Alex! Much more interesting! Poky thanks for sharing your expertise with us. 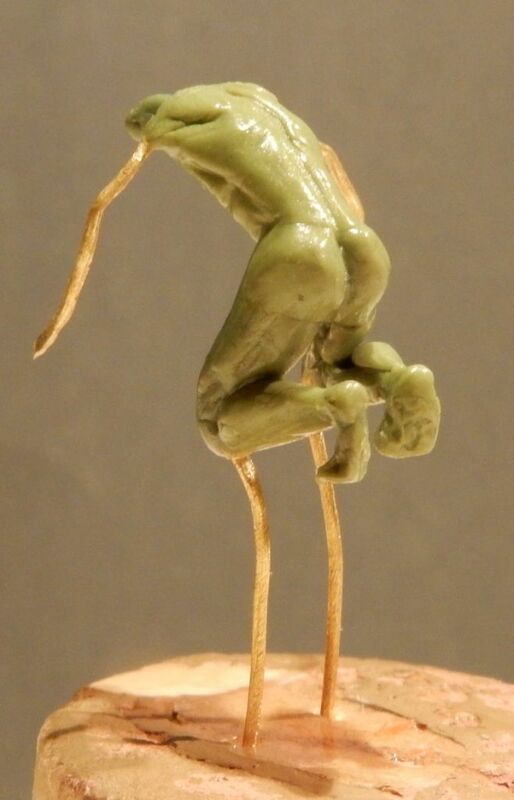 poky wrote: I sculpt a lot, over 50 figures a year. I did not know any other sculptors from the Netherlands except Franznap. 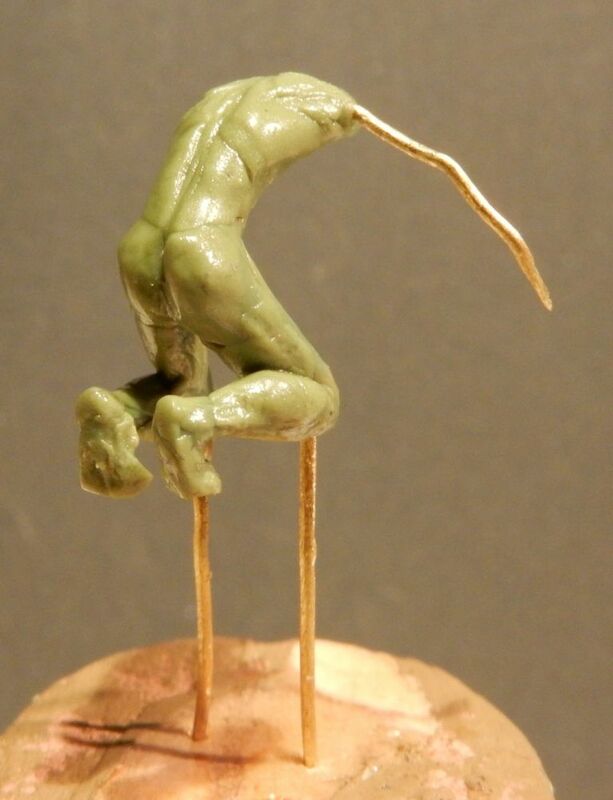 You understand you made me very curious so I tried to find your sculpts and found them here. So you work with Valdemar! Peter wrote: I vote for the sculpt of Alex! Much more interesting! Peter you realize what the consequences of these words are, don't you? The consequences are there will be a woman build here in my livingroom. One that fits the taste of the Bear from Neerpelt. A very Amsterdammish lady too, I am afraid, with big * and a huge * so there's something to hold.